So, recently 323 reindeer died by lightening in Norway. Maybe you, like me, saw this on your social media feeds. 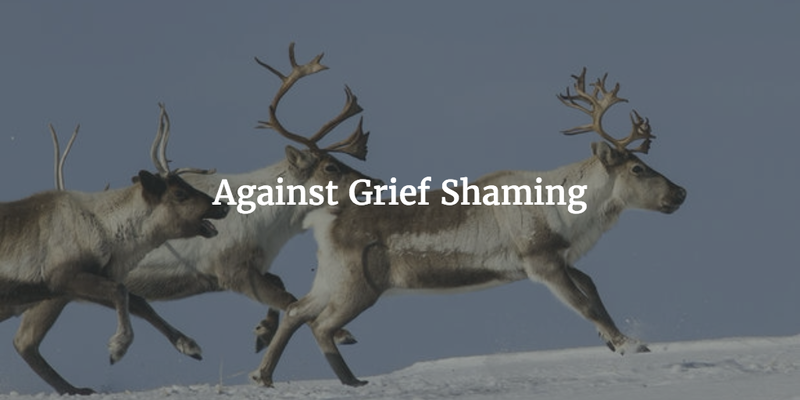 I had several friends who are not into animal activism obviously sadden by this mass death of reindeer. But of course, certain people in animal rights circles immediately pointed out how hypocritical it was to mourn for these reindeer, but not be bothered by the deer who routinely hunted and killed here. The usual cited number is about six million white tailed deer are killed by hunters annually in the United States. So if you are sad about 323 reindeer dying, you should be devastated by the millions of deer killed every year. This isn't just about reindeer, either. Bigger examples occured after the killing of Cecil the Lion and Harambe the Gorilla. In each case we have large number of people who are not concerned about animal rights issues, suddenly being outraged or sadden by the deaths of these animals. Part of this, of course, is simply the issue of charismatic megafauna (and Jamie Lorimer's work here is canonical for good reason). But I want to focus on tendency to engage in a kind of grief shaming that certain parts of the animal rights community tries to push. While I have focused in the past on how mourning other animals is denied and unrealized in our present world, I want to briefly turn our attention to this inversion in which certain animal activists say that the selective mourning of animals is illegitimate. I am both very sympathetic to this claim, but I want us to think of trying to move in a different direction. This means that the issues of grief over reindeer and named lions and gorillas is a classical Humean problem, that people's sympathies are too partial. I worry that pointing out hypocrisy is a way of telling people to have less sympathy. I do not clearly understand how to build the institutions to extend people's sympathies, but we have to remember when we engage, to engage at that level. This project, therefore, should be seen as a kind of extension of the work of feminist ethics of care when it comes to animals (and here I would plug Lori Gruen's relatively recent book, Entangled Empathy, as an essential way of looking as what a project of empathy looks like with other animals and humans). Ultimately, the issue is not that some people are hypocrites, or engage in "moral schizophrenia." The issue is that they are engaged in the same sort of partial sympathies that we all engage in one form or another. We all have times we engage in an inequality of affections that keep us from extending the moral community to where it should be. So, the project is one of building institutions (not just political, but also aesthetic and ethical, that is to say, cultural and affective) to extend our sympathies. What are the institutions, practices, and artifices we can create to overcome these limitations? What are the affects and the abstractions, the precepts and the concepts, we can multiply and circulate? How do we create a matrix that allows us to change and transform the vectors of desire? These are questions about what beings we are to become, what worlds we are to make.